First Floor Condo In Osprey Creek! 3 Beds 2 Baths 1,456 Sq. ft. 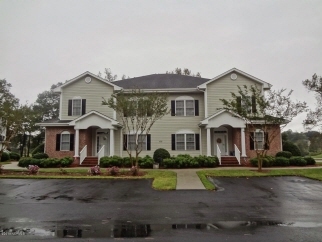 Description: First floor, 3 bedroom, 2 bath condo overlooking the golf course with views of the Calabash Creek. Beautifully furnished, all you need is your toothbrush to enjoy a vacation home away from home. Gorgeous engineered hardwood floors grace the main living area of this condo. The screened porch is a perfect place to relax to enjoy the views, read a good book. The amenities in this golf course community includes 3 golf courses, practice range, restaurant, 2 outdoor pools, 2 clubhouses, tennis, fitness center community garden, and private parking on beautiful Sunset Beach.